During the ongoing Australia tour, Kohli has often grabbed the headlines for his on-field antics. Virat Kohli has been a constant talk of the town in the ongoing tour of Australia. Apart from his marvellous exploits with the willow, the Indian captain has grabbed the headlines for his antics on the field. During the recently concluded Test series, Kohli looked in his elements – from asking the crowd to make more noise, motivating and encouraging his teammates to celebrate every wicket wildly to indulge in a verbal duel with his Australian counterpart, Tim Paine. 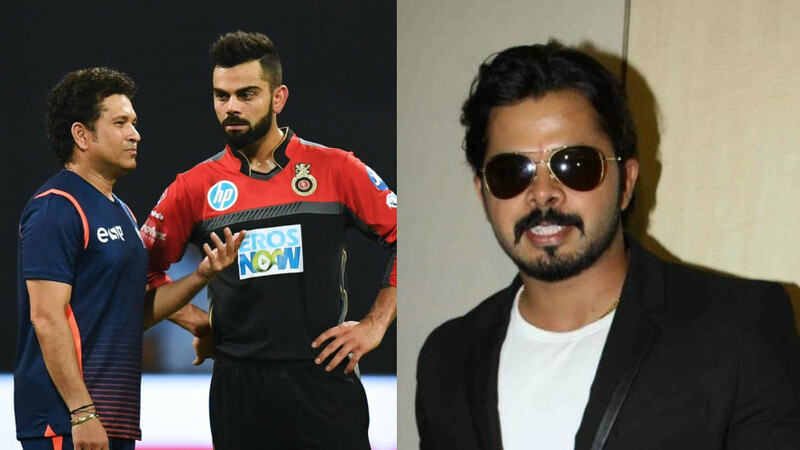 Subsequently, Kohli copped a lot of criticism from Australian legends for his on-field behaviour. The likes of Allan Border, Mike Hussey, Mitchell Johnson and even India's Sanjay Manjrekar had expressed their displeasure over Virat’s on-field behaviour. However, India head coach Ravi Shastri, in contrary to the popular opinion, believes that Kohli has matured immensely and the Delhi lad is among the "most pleasant person" off the field. "He has matured tremendously," Shastri quoted in a conversation with former England captain Michael Vaughan for The Telegraph. "When I told the Aussie media he is the perfect gentleman, they were shocked. On the field is one thing, but come off the field and meet him, he is one of the most pleasant and normal blokes you could ever meet. "He is very caring with his team-mates and just a fantastic role model. I am lucky to be part of the dressing room and to see the greatest player in the world," he added. Kohli has led the team exceptionally well since taking over the reins from MS Dhoni. While he has been in tremendous form with the bat over the past few years, he has also transformed as a leader and broken several records as a captain. He recently became the first Indian as well as the first Asian captain to win a Test series Down Under. 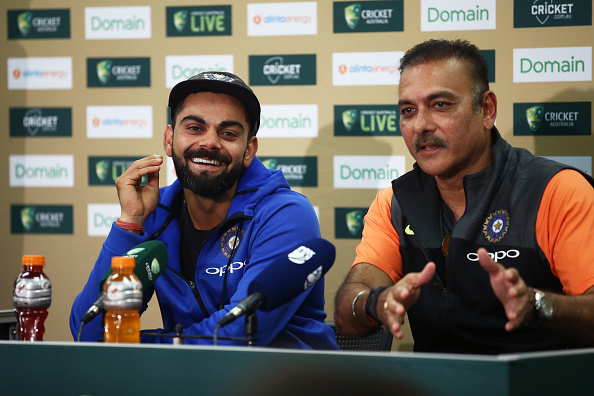 Talking about Virat’s love for the traditional format of the game, Shastri said: "In our country, where everything is driven by T20, IPL and one-day cricket, to have an individual like him put the onus on Test cricket more than any format of the game is massive because all the young kids want to emulate him." "If Virat Kohli said 'I am bored with Test cricket' you will see the impact it would have on the game, especially in India. For him to enjoy it, and enjoy the things that go with Test cricket, like the pressure an individual feels during a Test match, is great," he further asserted. With the ICC Cricket World Cup 2019 is just four months away, Shastri opined that there is no one team that could be classified as favourites. "There will be three or four teams that can do it and it is how you start," he said. "If we gain momentum early, then India are very dangerous because we have got a lot of crowd support and things backing us." The Indian chief coach, however, gave hosts England every chance to lift their first World Cup. Shastri rated the Eoin Morgan-led England side as the best England ODI team he has ever seen. "They [England] have been focussed in picking players who are good in that format of the game and will take their chances from ball one to dictate terms to the opposition," he said. "We saw England last year in England and they had depth in batting and a lot of players who are multi-faceted. They have five or six guys who can be called upon at any time to bowl and that is what you want," Shastri concluded.